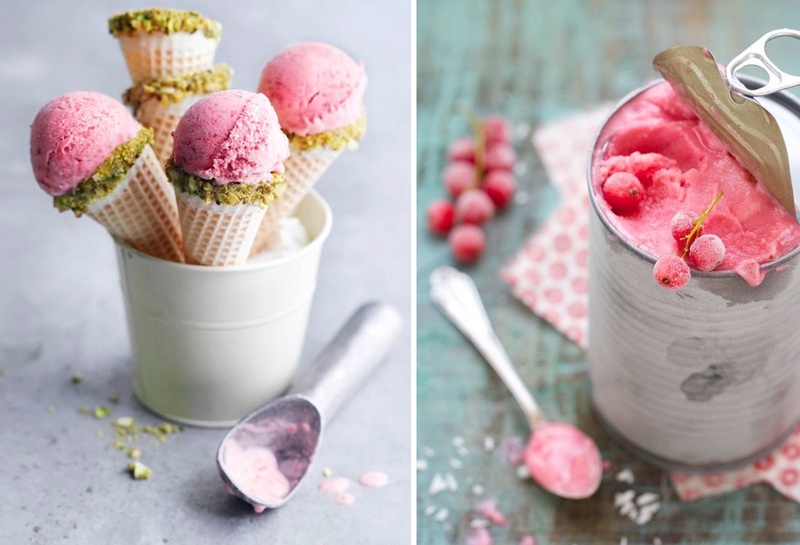 6 New and Cool Ways to Serve Ice Cream at Your Wedding! So, we came across this bizarre news lately where shortage of ice cream led to cancellation of a wedding in UP. For real! This pretty much explains the crucial role ice cream or desserts for that matter play in Indian weddings. We Indians love something meetha, especially when it’s an auspicious celebration. Cancelling a wedding is taking it to a whole other level though! Anyway, a rich scoop or maybe a bucket load of ice cream is the need of the hour, given the hot summers are here. Whether you’re having a summer wedding or not, we’ve got 6 new and cool ways of serving ice-cream at your wedding. Get scrolling. Oh, and here’s the discretionary disclaimer! Please see these images at your own risk, especially, if you’re on a diet! These cool creations can urge you to stock your fridge and binge on them even before the big day arrives. Chocolate, vanilla and pan flavoured ice creams have become too boring. Introduce your guests to abundance of refreshing flavours available. Here’s some suggestions to keep it fresh in the flavour department. For the ones who require a little more than just ice-cream, inclusion of fresh fruits, like berries, grapes and anjeer gives you a burst of fresh and juicy taste that is sure to charge up your guests who are exhausted with all the naach-gaana and entertainment at your wedding. Just an option for those who like quick little bites in dessert just to refresh their taste palettes; and what better way to do that than to serve mini ice cream sandwiches?! Popsicles as we know by now have made a great and grand entry into weddings. In our previous blog on popsicles, we realized, we didn’t really focus on chocolate popsicles. So, to make up for that, here are some super cool suggestions. If unusual flavours are hard to find, then add a twist to how you serve ice-cream. For example, hollow fruit shells. As weird as it may sound, but this will definitely have your guests running to the dessert table and skip their meal if need be. This is a great idea for tropical, beach and summer wedding themes. When all things fail to impress you or you’re just the kind who like to keep it traditionally different. Indian dessert Gajrela, which is gajar ka halwa shaped like a cup is served with malai ice-cream and dry fruits as topping! Now, this has to get those drools running. Loved these yummy creations? Would you serve the unusual or stick to traditional? Drop in a comment to let us know.